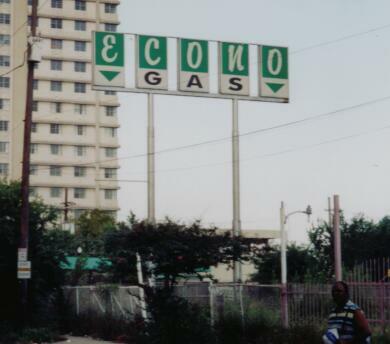 Three photos of an Econogas in New Orleans, LA. Canal St and N Claiborne Ave, next to I-10. Taken by Paul Huerkamp, August 2003. Scanned and submitted by Robert Droz.